Create efficiency in your operations and grow your partner network. Positioning your company for growth and prosperity in times of growing global competition and growing customer demands is a challenge. We make the wholesalers we work with more agile by streamlining their operations and optimizing their inventory, omnichannel strategy and customer experience. With Brightpearl, you will be able to free up time spent on operations, so you can innovate and grow your business. Your retail customers expect fast and flexible fulfillment so they can meet the demands of their end consumers. 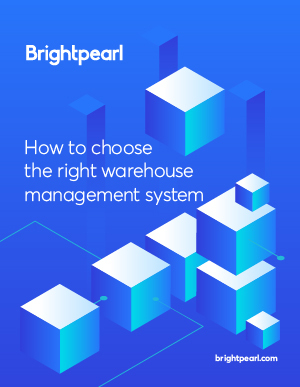 With Brightpearl’s efficient warehousing and automated workflows, you can offer short lead times and a variety of fulfillment options, from shipping directly to suppliers or their 3PL, to dropship and different combinations by product line. The service and support you provide your retail customers is what sets you apart from the competition. With Brightpearl’s differentiated pricing, discounting rules and payment terms, you can offer a personalized approach to each customer, while a full order history and reliable customer data make your communication to clients quick and efficient. With tight margins, you want to be running every aspect of your business as efficiently as possible. Brightpearl is designed to automate as much of your business as possible, so you can manage by exception and spend the time you save on growing your business. In order to navigate the ever-changing world of retail, wholesalers need to quickly identify issues and opportunities in their business. Brightpearl offers real-time financial and sales reports, enabling you to make better decisions day-to-day, instead of only getting to your insights at the end of the month. You’re selling, marketing and communicating through a variety of channels and you need to continue to provide fantastic service despite the growing complexity of your environment. Optimize existing workflows or evaluate new ones like going direct-to-consumer. Tracking inventory in real time is the first step to managing inventory opportunity cost. Brightpearl allows you to track inventory costs in real time with the added benefit of landed cost, and manage your inventory efficiently in the warehouse. “Brightpearl has made my business incredibly efficient. We are no longer reliant on information a phone call or email away. Brightpearl allows my team to see the information they need to provide outstanding service whilst at the same time reducing costs and saving time. Since implementing the software, we save four thousand pounds a month - that’s almost £50k a year. Brightpearl is definitely the best business decision we’ve made. I look forward to seeing The Office Coffee Company grow whilst producing high quality and ethically-sourced tea and coffee for our customers." Whether you take orders via phone, email, or your webstore, order statuses and inventory levels will be automatically updated in one place. You’ll have a real-time view of your inventory, and can avoid overselling and overstocking. Integrated shipping and flexible order fulfillment allow you to dropship, partial fulfill, process back orders, complete back-to-back ordering or leave orders for review as is required to meet the varying needs of your clients. Orders can be fulfilled automatically, which lowers your delivery time. 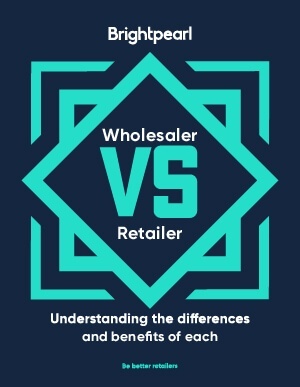 Wholesale customers need different payment terms. Brightpearl supports proforma invoices, true invoices, payments on account, deposits and part payments, while your accounts will always be automatically updated. You can also manage individual price lists by account, by group of accounts, for discounting, by sales person, or however else. While many of your wholesale customers will still place orders by phone, an increasing number want to order online. 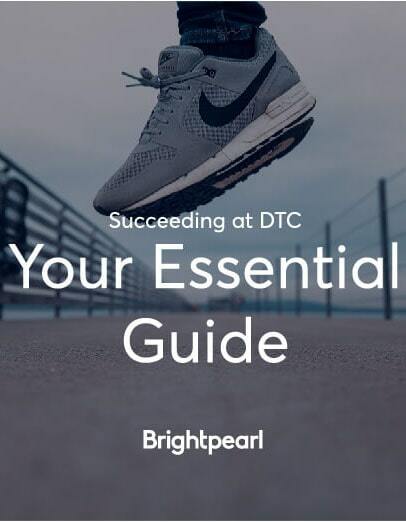 Brightpearl’s high performing connectors to the major ecommerce platforms enable you to support separate wholesale and retail storefronts, driven by different price lists, and take full advantage of the functionality offered by the platform. Pre-set low inventory counts signal when you need to reorder inventory, so you never run out of your best sellers. Accounts payable reports show you which suppliers are still owed payments and how overdue they are, so you can make informed decisions. Accounts receivable reports allow you to see which of your clients still owe you money and how long they're overdue. The tagging system can show when statements were sent, the status of the account or a dunning letter reference. Client data is always at hand and accessible to your team to deal with any queries in a quick and effective way. Clients can be assigned account managers, all interactions with clients can be tracked and clients can be grouped for easier communication and reporting. Brightpearl integrates with leading wholesale ecommerce platforms and we’re always adding new ones. You can consolidate and fulfill all orders - whether they are placed on your ecommerce store or through phone or email. Find out how Brightpearl can fully automate your wholesale business with a personalized, no-obligation demo from our business experts.